July 6, 2012 May 15, 2014 - by Gogs - 41 Comments. 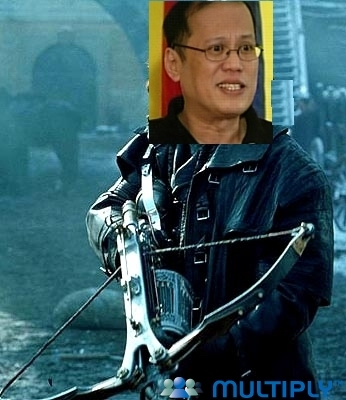 With the release this blockbuster season of Abraham Lincoln Vampire Hunter I am reminded of our own president who is committed to exorcising demons Benigno Simeon “B.S.” Aquino. To those of us semi familiar with the iconic Lincoln, one theme that always comes up is how he persevered through failure to be the historical figure is. One comparison you may not know about Abraham Lincoln was how similar he was to Elvis but I digress. The Internet is filled with lists of Abraham Lincoln’s difficulties: election losses, death of his girlfriend, nervous breakdowns and business setbacks. You can look at it one way and say Lincoln did not have it easy but got to be who he was despite the setbacks. You can look at it that way. I chose to look at it that Lincoln became who he was because of the failure and not despite of it. What makes victory sweet is the real possibility of defeat. What makes victory great in the moment is the number of failures endured to make that victory possible. Some people are right to have questioned Noynoy’s track record and leadership qualifications. In my opinion only complete morons dismiss that question. Some people also question where are Noynoy’s successes? Inspired by Abraham Lincoln Vampire Hunter I will take a different path. I now ask before his election in 2010, what were Noynoy’s failures? Failure to register in the national consciousness despite having famous parents does not count. You look at any action/ adventure movie. They all follow the same formula. 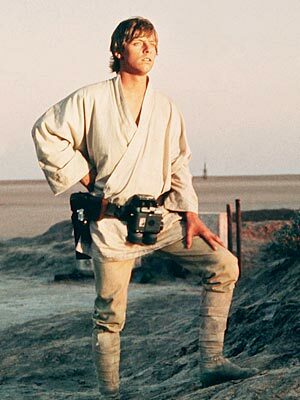 They show the hero or heroes, either with humble beginnings or a scene that establishes how good they are in action. Then the inevitable where the world ends as they know it and they question their own validity. Through all this turmoil the hero or heroes acquires new skills or new determination then saves the day. Tom Hopkins in an event I attended in 1994 described the four stages of learning . 1. Unconscious Incompetence– You not only don’t know, what’s worse is you don’t know that you don’t know. A possible cliche that is related , ignorance is bliss. 2. Conscious Incompetence– You face reality and reality says you don’t know what you are doing. You listen to reality and you decide to change it. Since you know you don’t know, you are open to learning. 3. Conscious Competence– having taken the time to learn, you consciously apply what you learned and you get results. You are more comfortable doing things the right way. 4. Unconscious Competence– you have been doing what you learned for so long that the right thing is so natural. You don’t even know you are doing it. You see the progression? You have to go into a state of being uncomfortable but that is where you learn. To get good at something that is challenging you have to have to be bad at some point. You have to accept it and work your way thorough it. Like I said earlier that’s why you relate to the typical movie because the characters go through hardship in a way believable to you and they root for them to fight through it. Do you really think Noynoy Aquino as a leader went through all four phases? Will he ever be an unconscious competent? Any great endeavor involves failure. Thomas Edison immersed himself in what seemed like failure to most people.What most people don’t see are Edison’s failures and his successes are inseparable. 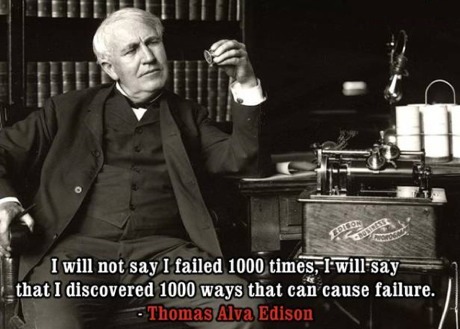 Edison’s failures were stages he had to pass to get to what he eventually invented. 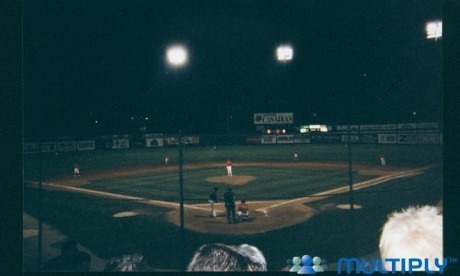 I personally love baseball. Although that is me, for the sake of the theme of my piece today I have a theory why Noynoy and the Filipino electorate in general can not grasp baseball. Baseball is a game of failure. Basketball easily translates to a society where someone like Fernando Poe and Vic Sotto are box office draws. Basketball has five players shooting for the same goal. All five can dribble , shoot , pass and rebound. There you know 90% of what you need to know to watch the game at basic level. Full disclosure I do enjoy basketball and I have been to NBA and PBA games. Baseball like I said is a game of failure. It is the only sport where it is 9 versus 1. The only sport where the defense has the ball. The last time someone in the major leagues has gone through a season failing only 6 out 10 times, the ink was drying on Japan’s surrender to the US aboard the USS Missouri. Meaning in the last 65 years, if you “only ” failed 7 out of 10 times at bat, you were the best of the best. When in doubt as you know by now I always turn to my Uncle Colin, Colin Cowherd. As he says “Legislating fair is absurd. Failure can be good for you. Pain is there to help you.” Why take my word for it when you can hear him here. What sparked this Uncle Colin rant was the whole No Child Left Behind movement. Where a kid can’t fail. Listen to his logic why a kid has to fail if he or she deserves it and how ultimately failure is good for the child. Here is the problem with Noynoy’s relative ease in which he obtained the presidency. In the back of his mind he knows he did nothing to earn it. He did not strive for it. He did not develop himself. So in his mind he is where he is supposed to be. Destiny as he himself so arrogantly put it. This totally gives B.S. Aquino his sense of entitlement. So he is in brat mode and does what he damn well pleases. Yee Ha! We are in Fantasyland!! Damn due process. People who take risks encounter failure. People take risk because they want to get somewhere. Show me someone who does not experience failure and I will show you someone who does nothing or someone who is not remotely challenged. Show me someone who has not experienced failure and I will show you someone who can not handle adversity. So I ask the question again, what has Noynoy ever failed at before he was elected president? Do you really think someone like that is suitable to lead a country of 90 million people with all the political , economic and social problems we have? There is a Calvin and Hobbes comic where Calvin describes his genius problem. Genius is often often fostered by discipline, constant work and a path where failure can be encountered. Do you really think I am describing Noynoy B.S. Aquino development as a man worthy of being President? The only one convinced Noynoy is a genius is Grace Lee. Previous Article MMDA EDSA blessing: Did the holy water evaporate before it hit the pavement? Next Article Why is Rappler CEO Maria Ressa’s Twitter account ‘protected’? Why does he have to ruin everything Crissy? Jonas below disagrees with you. Of course I agree with you. Of course he also complains when we mock him. But yet he comes back. Does not compute. Genius is not only about knowledge. It’s knowledge that was put to work and it reaps good results. Not only inspiration, but also perspiration. Gordon and Gibo are fine examples. D.K. “Itâ€™s knowledge that was put to work ” . He seems to have neither. I wonder about the mind of Noynoy and the minds of all the Noynoy apologists. You are exactly right Hyden Toro. You might add that to do nothing is the most difficult job in this world because then you never know when you will be finished. At the end of his presidency the greatest satisfaction is when you know you have done a lot of good for your country. Will Aquino have that satisfaction? The same people who convinced him to run will say he did a great job. And he will…. For them. Comparing Pnoy to a vampire hunter is like comparing a saturday morning cartoon villain to a superhero from marvel or dc. I love how the yellow army compare Noynoy to real leaders. Unfortunately PNoy is accelerating the process that Pinoys naturally do: dividing the house against itself. The Pinoy’s sense of entitlement and aversion to failure and criticism will always be issue for many years to come, don’t you think? Although BS Aquino is not the only possessing these traits he is the highest government official who does so. You and I agree he is so intellectually and emotionally immature yet he is in a position that will expose all that. Carandang can try to shield him. The Emperor has no clothes and it’s so sad the country can’t see that. But I am so proud to be part of GRP with you guys taking on all those trying to convince us this guy is a competent human being let alone a competent president. Behold the interrogatives: What happens when the house divided falls? How bad will the fallout be? jaks, since you are so keen to change the subject. Here is your chance to defend your President. The same guy who is president only because he had the right mom die at the right time. Out of the 4 stages of learning what stage do you feel he is in? In fairness, I think Nounoy is doing a decent job as president. It’s a long way to go but so far he’s showing that he’s his own man and still on the same page with the rest of the country. Jonas, cool you think he is doing a decent job. Please tell me what did he do to earn the job? What did he bring to the table besides his last name and his mother’s corpse? And of the four stages where was he before the election and what is he now? – To rewind, during the presidential campaign, I’ve expressed in other blogs my opposition to Noynoy running for president. Similar to what you are saying now, and compared to other candidates aspiring for the presidency (Gordon, B. Fernanndo, etc.) Noynoy really do not pass the test, so to speak. I debated and argued against his qualification or lack of it with the pro-Noynoy group. But as they usually say, the rest is history now. He won. While I still maintain the view I have about him before I can say that I already move on. You asked me, what he did to earn the job. I guess, we’re passed on that stage already. It’s moot and academic for he was elected fair and square. We can take against him his last name during election time but after, it is no longer relevant. It is so because he no longer ride on his name. He’s already banking on his performance. And that is where, I think, you should focus on. Performance wise, I don’t think that he passed it with flying colors. Not great but not bad either. So far, he has not made a move or an act that compromises our national security. His image of not being corrupt remains intact. People continue to trust him, which is very important for a public servant. For someone who lacks experience as an executive and has scant knowledge of running a city or province, Noynoy is lucky to be able to maintain public’s acceptability of his leadership. So far. Yes, so far his lucky streak continues. However, there are still 4 more years for him to really shine and prove that he’s deserving of his position or his critics be proven right that he doesn’t have it to hack the job. You’re missing the point. Is vilifying political enemies and getting what he wants is considered a good job or something? There is still INCOMPETENCE in his government, believe it or not. People continue to trust him because they’re so gullible. I mean, only gullible fools will believe in the Aquino Magic and Hype. â€œHis image of not being corrupt remains intact.â€ – Pure lies. He continually blames the past administration for all the things wrong, including corruption. Speaking of corruption, why wasn’t everyone shocked of PNoy having 60 million pesos in pork barrel money? Oh but of course not since the incompetent individual has not done anything bad and is compensating himself as a proud member of the Aquino family and taking his rightful place in the government. Not to mention his blatant defiance of the rule of law and bribery (Tobias Tiangco said that the filing of the impeachment case against Corona is railroaded, which is very true). And he also got the support of leftists like his presidential adviser Ronald Llamas (which is a member of Akbayan) and even people like Justice Secretary Leila de Lima. That’s the guy you are defending? A guy who took advantage of his mother’s death? What kind of son are you? Would you do the same thing? “that heâ€™s his own man “- another question I have for you. At the impeachment trial, did he allow it to be ” it’s own trial” or did he use it for his own agenda? From the very beginning. Did he let justice run it’s course? “His image of not being corrupt remains intact.”- so do you find him transparent and fair or does he impose a double standard when it comes to people close to him? Is he the same to all people or does he come down on people he has a history with in a negative sense and treats with kid gloves those he is personally close to? – I don’t think Noynoy is in a position to ‘allow or not allow’ the impeachment trial to be as it is. As we all know, the Senate is an independent body. I don’t they will allow Noynoy to meddle in a purely Senate function. – On the basis of what? So far, the public’s reaction to what he’s done has been generally receptive. The Corona conviction seems to be a victory on his side. Right now, I would say that Noynoy is playing all his cards right. There seems to be nobody in the rank of the opposition who are capable or has the ability to match up with P-Noy in terms of confrontation on policy and political issues. Another thing, there is really no serious threat to his office in terms of corruption scandal, unfair political maneuverings or even serious faults in the running of his administration. I’m not saying his watch is picture perfect. What I’m saying is, there appears to be a very pronounce lack of vigor or weakness of the part of his critics and opposition to weaken his administration. Most of the criticisms against him falls on the category of triviality. There is really nothing serious that would put a dent on his popularity that continues to be upheld by the general public. Now, will his stable sailing continue up to the end of his terms? No one knows. In politics, there is really no assurance that what is positive now will stay as it is up to the end. 1. Yet his allies are. Most of the 20 senators who voted for the guilty verdict are mostly allies of Noynoy and a number of them just wanted to play politics, saving their asses from the angry mob. 2. Read my comment about it. Of course, the biased media (mostly ABS-CBN) would never include it in the newsstands. Only PNoy’s enemies. Bias much? It is quite possible that we are looking at the same thing and we both see different things. I brought up the possibility of him interfering and you seem to react like I am bringing up something new. You spend enough time here judging by your number of posts. Many of us here believed that his paws were all over the Corona Trial and I won’t bring up the points here. Just read the better writers here like Arche, Benign0, Ilda , FallenAngel etc. You don’t have to believe us but I will disagree with your premise that he has been decent so far. But I am sure you expected that. Despite all the lame trolls we get, no one comes close to arguing central premise here about evolution of a leader and the necessity of failure in order to do something great. The name Noynoy Aquino has the word no in it three times. hi gogs! your very good in discovering the 3 nos in noynoys name.. im wondering if you were really the first hehe but then, congratulations!! Hi Trish. I read it in some Facebook post during the 2010 elections. Dont know who. I believe in giving credit where it’s due. I even mentioned it in a blog I wrote at the time . well congrats to whoever it may be. the name noynoy aquino carries a warning with it. no no no. dude edison was a HEUG real life lightning thief and never really invented anything. Poor Tesla and Swann, among others, did all the hard work and never got any credit.